What is the Energy Optimizer Pro™? The Energy Optimizer Pro™ Works on the principle of energy optimization, increasing the overall efficiency of your electrical system by conditioning dirty power, recycling waste electricity from inductive loads (electric motors) in your home, and redistributing that energy to other electrical loads, saving energy and money. The Energy Optimizer Pro™ surge protects valuable appliances and electronics from harmful voltage spikes. The Optimizer Installs directly into the electrical panel, by a qualified electrician. Energy Savings- Customers on average, report savings ranging from 5-15% with residential customers averaging 4-8% savings and commercial customers averaging 15%. Surge Protection- Reduce or eliminate voltage spikes. Voltage spikes are brief overloads of the electrical system beyond what your equipment is designed to endure. Voltage spikes may not cause immediate failure, but shorten the lifespan of your appliances and electronics. The average home receives over 100,000 power surges (mini lightning strikes) every hour. This is a continual assault gradually destroying the electronics you’ve worked hard for. Protects your entire building, home, commercial bay or office. Power Conditioning – Electrical systems in your building function smoother and more efficiently, eliminating computer crashes, loss of productivity and loss of computer data. Increased Longevity on electronics – Protects computers, appliances, televisions, stereo equipment, electronics, light bulbs, furnace controls, air conditioner controls, and any other electronics from damaging power surges. Increased Life Expectancy of Heating and Cooling Systems – Electric Motors, Furnace controls, and electronics, operate more efficiently, run cooler and last longer. Reduced Carbon Footprint- A study completed in 2004 using 31 new homes equipped with energy optimization devices demonstrated an average reduction in the generating capacity required to service these homes of 12%. This translates directly to a carbon footprint reduction of 12%. 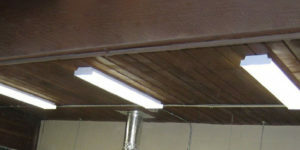 Commercial Buildings exhibit similar savings. Stabilized Meter Operation – stabilizes and reduces metering errors from your electric meter. Improved Power Factor- Power Factor is the measurement of the efficiency within your electrical system. The lower the power factor the worse efficiency you have in your system. Units are custom sized to improve your buildings electrical efficiency. Smart Meters- Currently homes are not penalized for low power factor, peak demand, and time based billing. Smart meters change all of this by giving the electrical utility the ability to charge for these items. Despite the way you are billed, our customers typically see 5% to 15% reductions in their energy costs. Improved Electrical Efficiency – This occurs not only because power factor improves, but because when fed the proper amount of power at the right voltage, without surges spikes, your homes electrical system operates efficiently and uses less power. Customized for your building or application – Based upon a few short questions, one of our technicians will help you choose the model that best suits your buildings age, size, and electrical consumption. One size does not fit all! Several Options are available.